In 375 AD, Attila's Huns overran Europe, the Germanic tribes in their path fled into the weak degenerate Roman Empire. 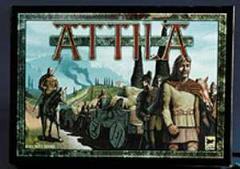 In Attila, the players influence these migrations. The winner is the player who has exerted the most influence on the best tribes.